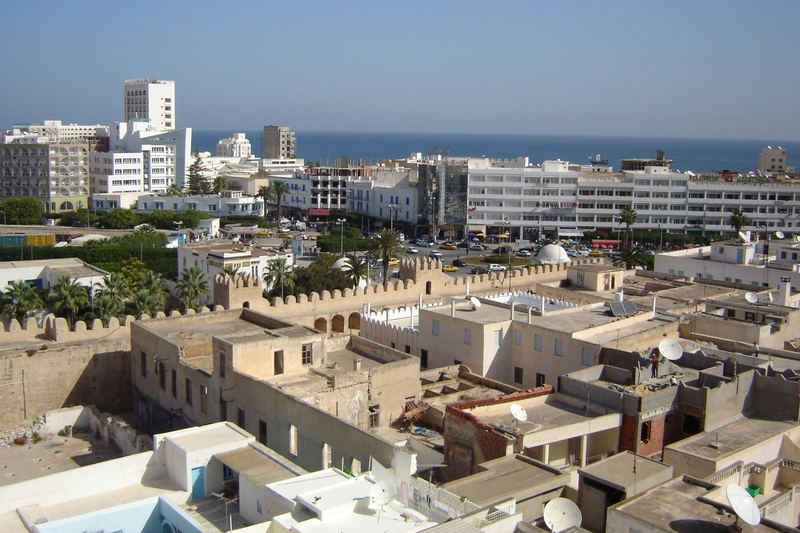 Sousse was an important commercial and military port during the Aghlabid period (800–909) and is a typical example of a town dating from the first centuries of Islam. 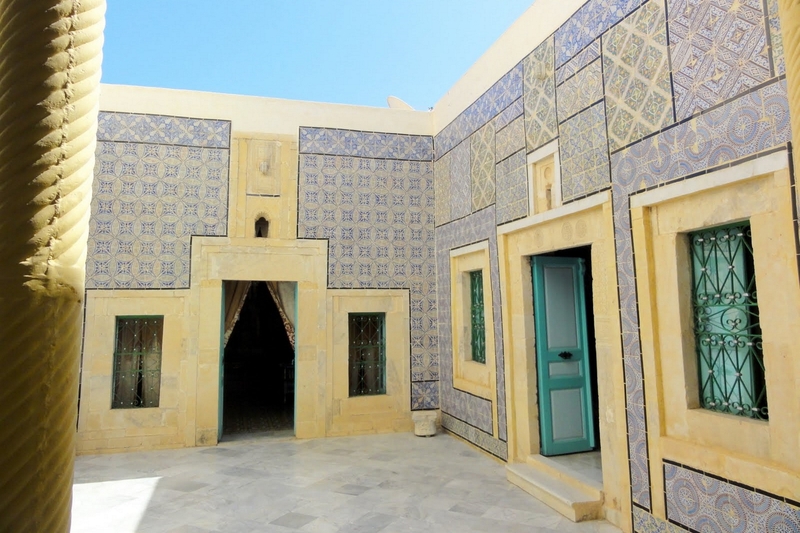 Today Sousse is one of Tunisia's most popular holiday resorts, it is an effortlessly blends resort comforts with historic highlights - combining the best of both worlds. There are many cultural sightseeing draws, making it the country's number one spot for a holiday. The medina stands in the center, cordoned off from the rest of town by high, medieval fortifications that look like a sandcastle cake. 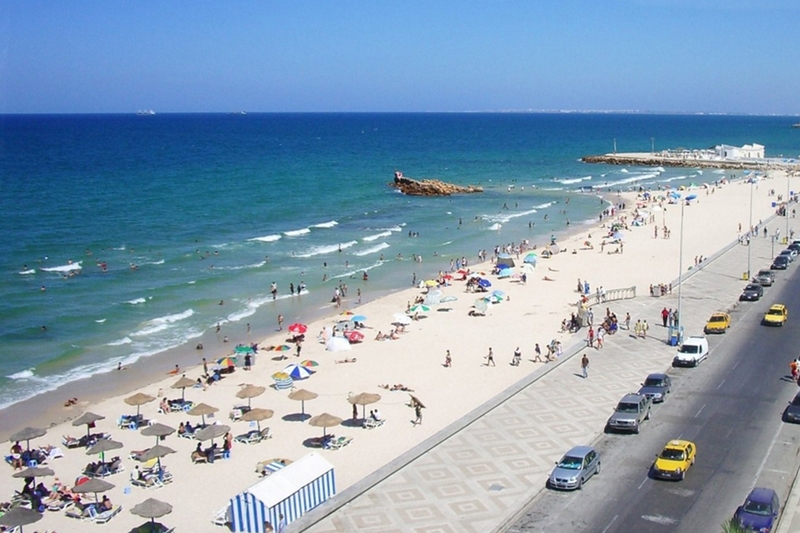 Sousse also has one of the most attractive beaches, with sand so smooth and perfect you’ll enjoy just rolling around in its softness. 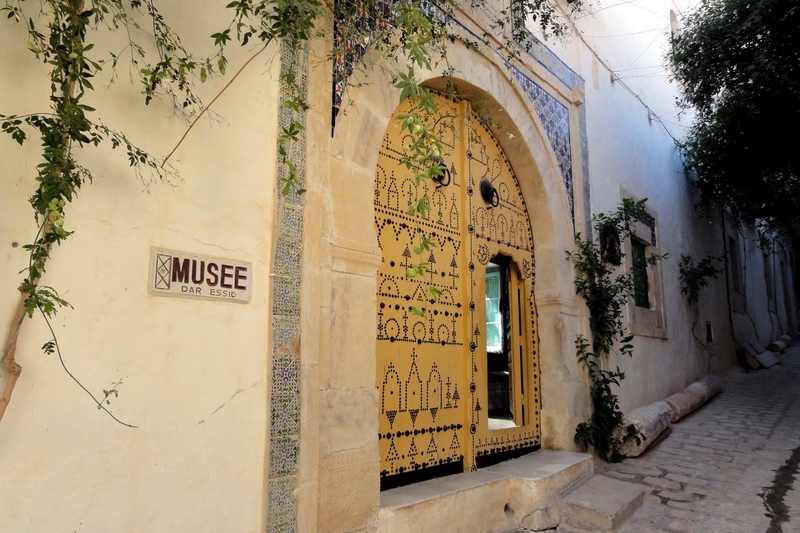 While the luxury hotels lining the beach-side suburb of Port el Kantaoui provide all the sun and sand bliss, the Medina district in Sousse's center has more than enough tourist attractions to keep culture-vultures happy. It's no wonder this ancient seaside town continues to charm all those who visit. 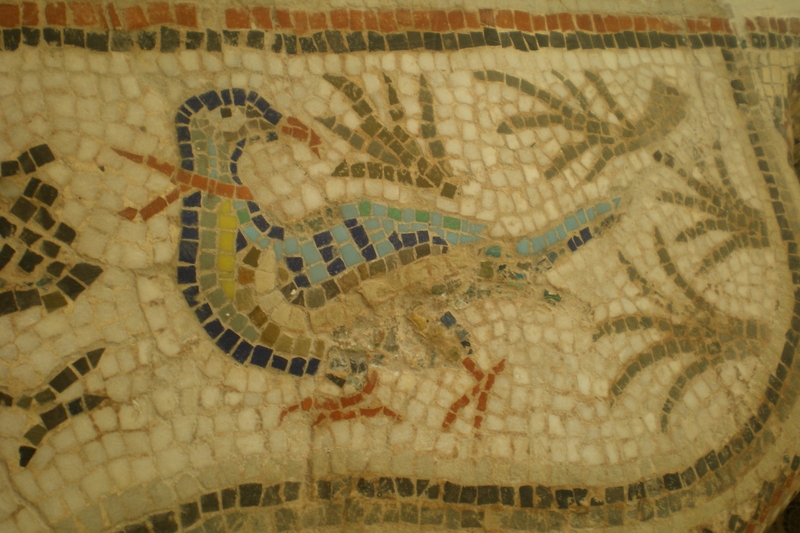 Dar Essid Museum was the place of a very wealthy man. 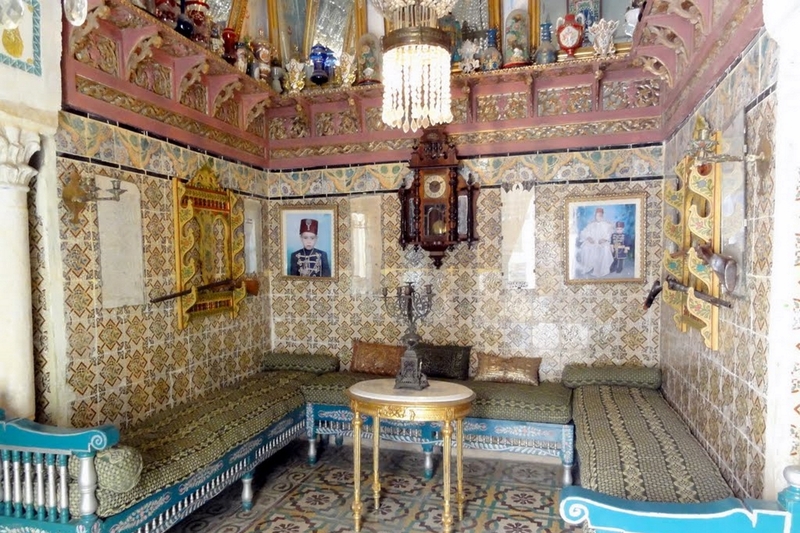 He used to have a room for each of his wives and each room was very beautifully made. An interesting object that one could see there, is the lamp that lied near the bed. This lamp was filled with oil and as long as it had oil in it, the husband needed to satisfy his wife, during an entire night. Sousse's Bou Jaafar Beach, with its multi-kilometre stretch of high-rise hotels, cafés and restaurants, is the city's landmark. Named somewhat incongruously after a local Muslim holy man, the soft, sandy strip is a playground where families picnic, children frolic, foreigners sunbathe and the warm, calm waters of the Mediterranean is everyone's bathtub. Only a few small parts of the strip are claimed by beachfront hotels with chaise lounges and parasols. Though these are usually not roped off, they are 'protected' by staff that generally looks kindly on foreigners while tending to treat rudely any Tunisians who wander through. Access to these areas is generally open to non-hotel guests for a small sum however it's unlikely anyone will ask you for proof of residency. You'll find all sorts of water-sports equipment for hire along the beach. Don't leave valuables lying around unattended since petty theft is not unheard of. In summer, the beachfront is packed with people sitting in the cooler evening air or strolling along the waterfront - a wonderful way to pass a summer's evening. 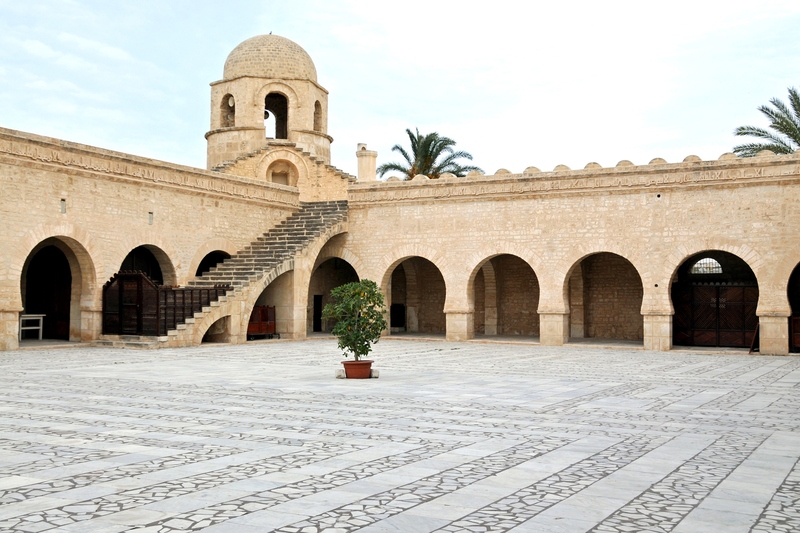 The Great Mosque at Sousse comprises a prayer hall preceded by a courtyard. 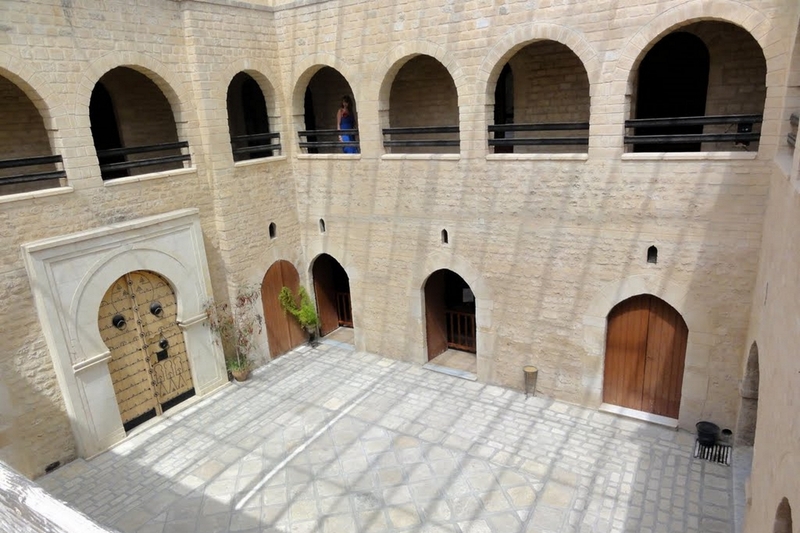 The courtyard is wider than it is deep and has porticoes lining three sides. 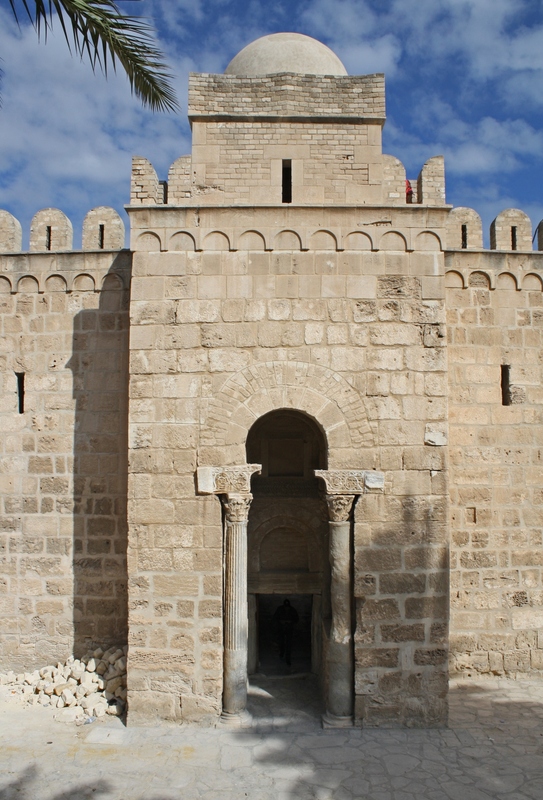 The fourth portico at the front of the prayer hall is an addition which probably dates from the AH 5th century (AD 11th). Above the façade is an inscription in kufic characters sculpted in relief from the stone and extending in a long horizontal line. It mentions the name of Mudam, freed slave of the amir, charged with supervising the works and is the oldest epigraphic frieze decorating the façade of a monument that we possess. 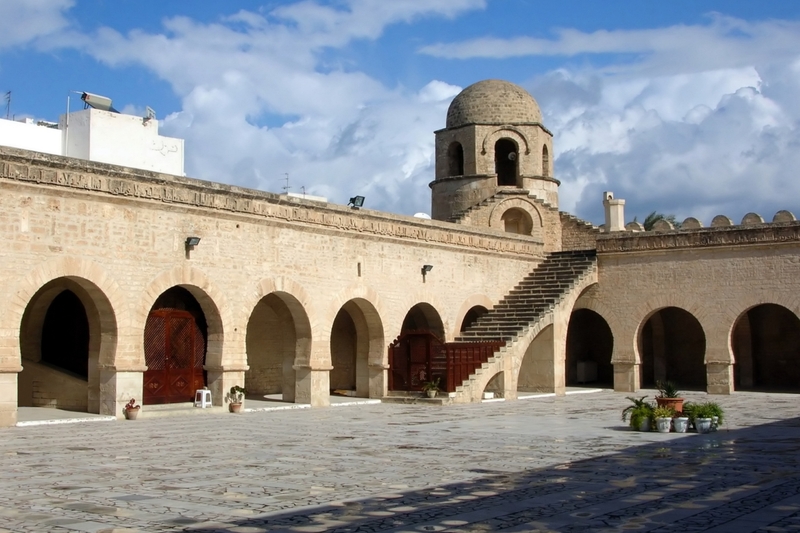 As the Sousse Mosque has no minaret, the call to prayer was proclaimed from the top of the northeast corner tower, which has a domed kiosk and is accessible by a staircase giving onto the courtyard. 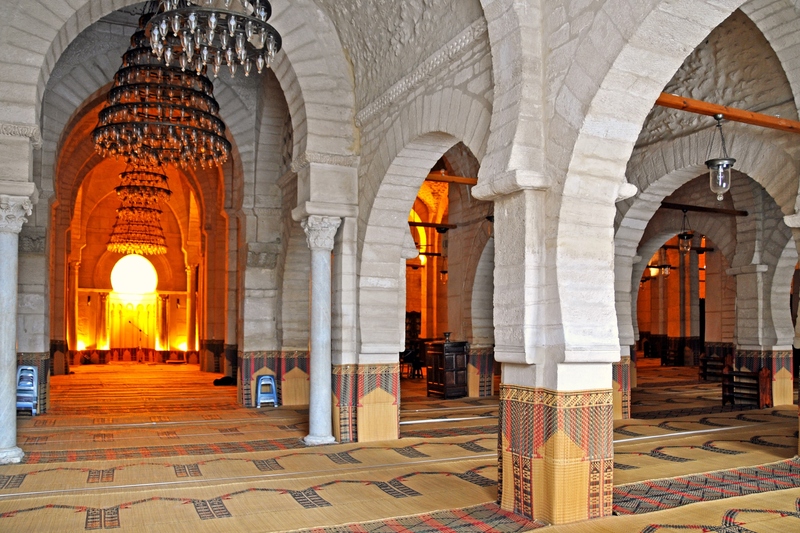 The prayer hall is quadrilateral in shape (59 m x 51 m) and is divided into 13 naves and 6 bays. The central nave is wider than the others and is crowned with two domes. The dome of the mihrab is semi-spherical and rests on a tambour with eight concave facets. The massive stone base is decorated with denticles. Internally, the dome rests on angled squinches. 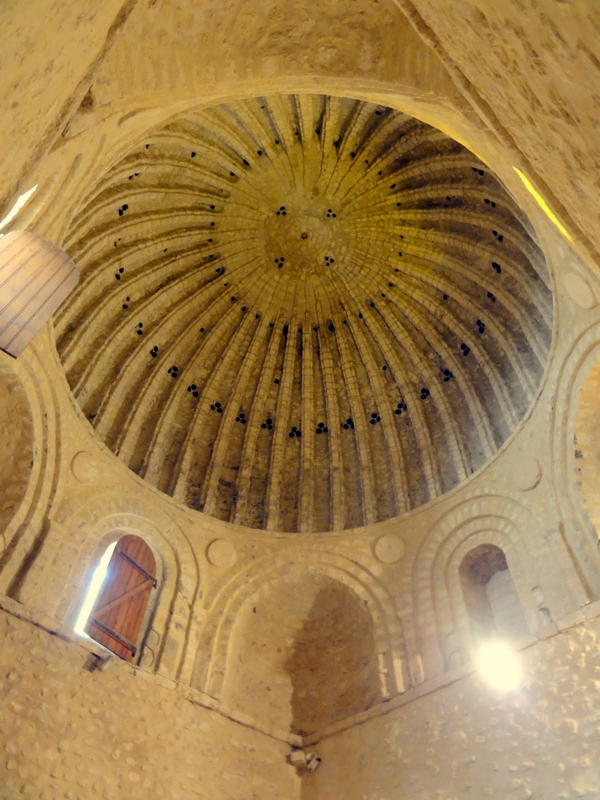 The prayer hall is covered with barrel vaults reinforced by semi-circular beam-arches. The vaults are supported by stone cruciform pillars. The mihrab dates from the Zirid period, judging by the decoration of the semi-cylindrical niches and the inscription rings with their flowery kufic characters. 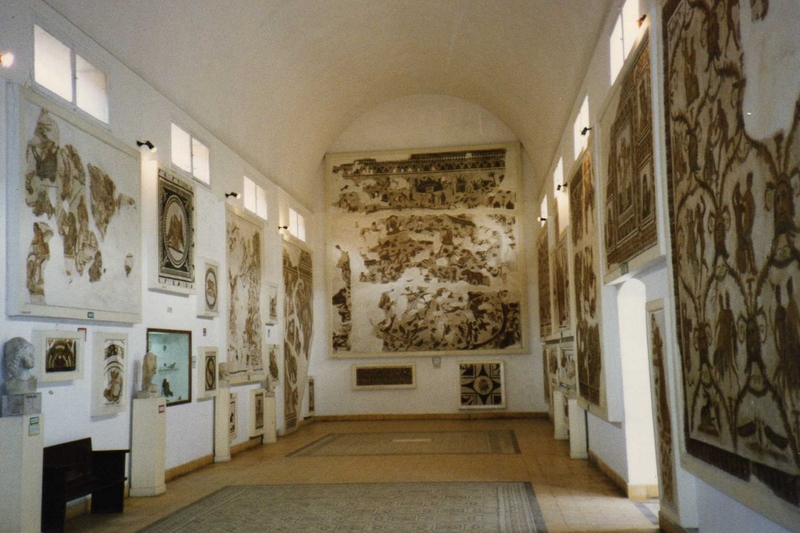 Sousse’s archaeological museum has the second largest number of these fabulous pieces of art in the country, and they really are staggeringly beautiful. 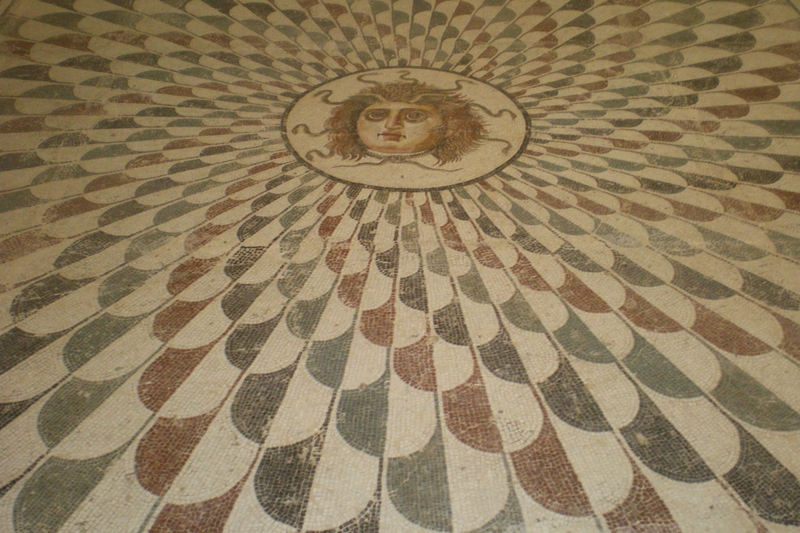 Reopened in 2012 after extended restorations, the museum displays a fine collection of objects, with primary emphasis given to the magnificent exhibition of restored mosaics from the period when the Roman empire extended across North Africa. 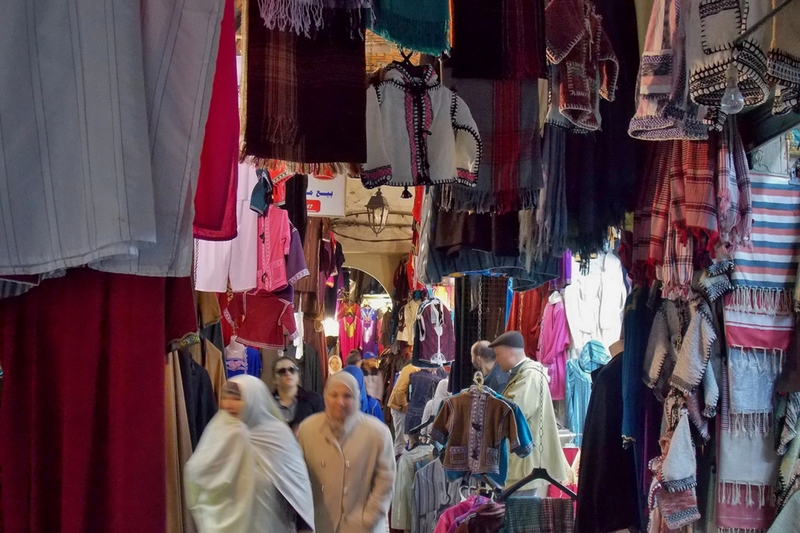 Souq er-Ribba or Er Ribba Market, witnesses daily heavily and lively trade activity. 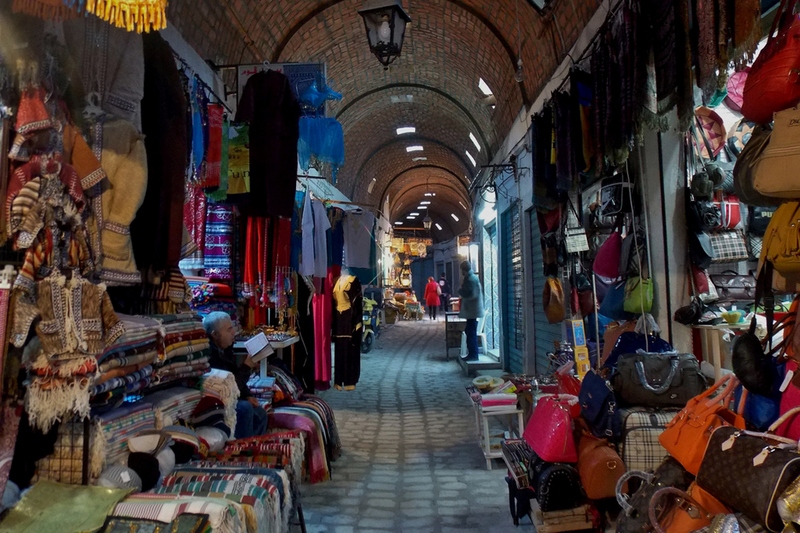 It is considered the commercial heart of the medina. When you see the streets became packed with haggling merchants, curious tourists, and young boys running; be sure you reached the right place. Most interesting and attractive in the market are the appealing multi colors of the goods especially the good-quality spices on sale. 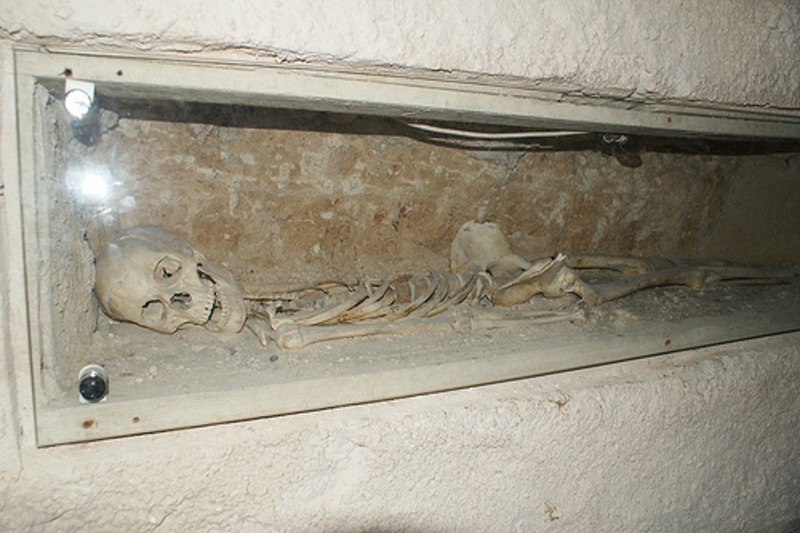 This underground necropolis was created towards the end of the first century by Christians to bury their dead during periods of persecution. 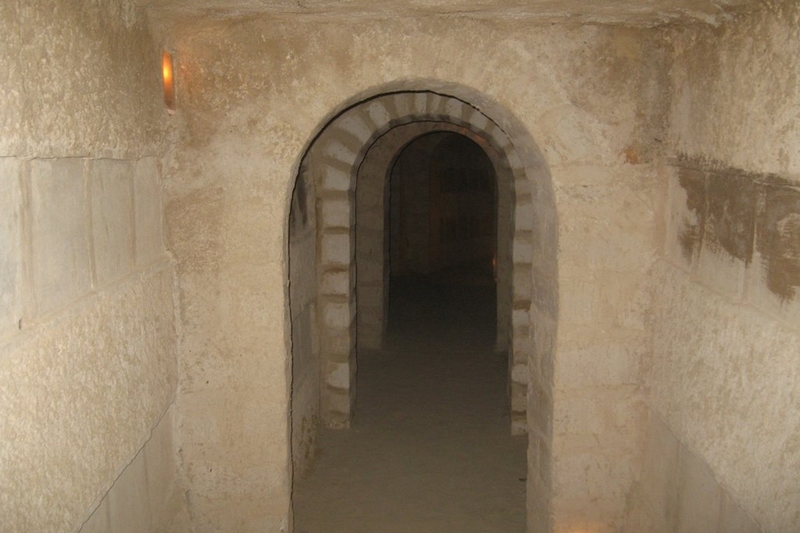 The Sousse catacombs are formed of galleries stretching over 5 kilometres and containing no les than 15.000 graves. 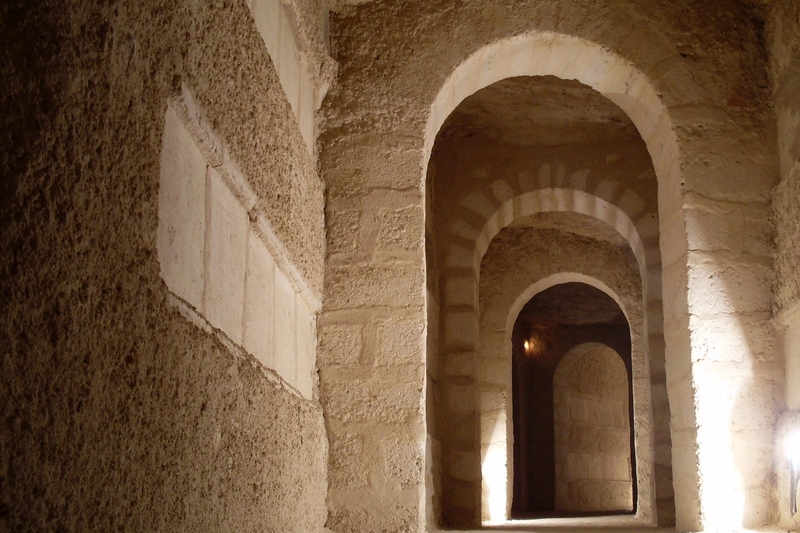 The tombs were dug into the walls of the galleries on two or three levels. One notes the presence of niches at more or less regular intervals along the wall. They used to contain the oil lamps whose dim light used to light the labyrinth. The only section open to the public is about 100m of the Catacombes du Bon Pasteur, named after an engraving of the bon pasteur (good shepherd) found inside. Most of the graves have been bricked in; a few have glass fronts, revealing skeletal remains. 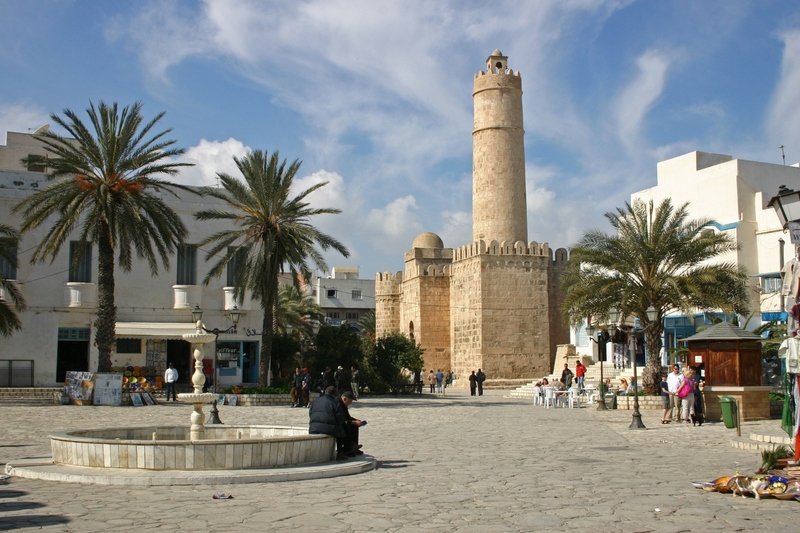 Built in AD 859 on the site of an earlier Byzantine fortress, the Kasbah is one of Sousse's grandest monuments. Its 30 m Khalef el Fata tower (named after its builder) is one of the oldest towers still standing in North Africa. The Kasbah's topmost platform is 50 m above that of the Ribat, making it the best place to get Medina views. 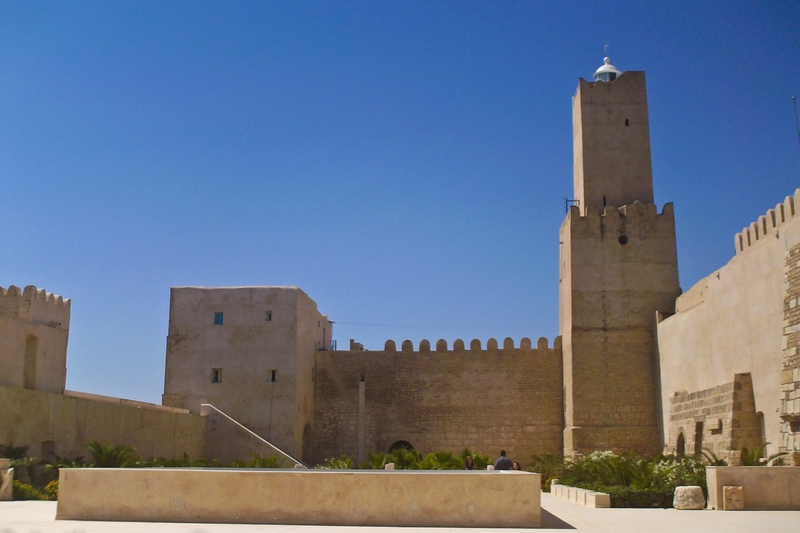 After its construction, the Kasbah took over the military role of the Ribat and the Khalef el Fata tower is still used as a lighthouse. 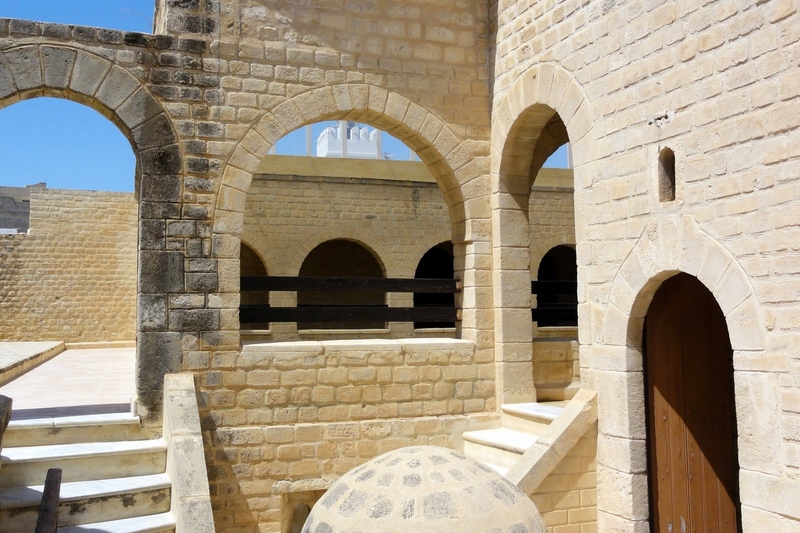 Kalaout el-Koubba is a building that was built in the 11th or 12th century according to Fatimid architectural style. While its original function is not known, its current function is much clearer: to showcase the everyday life of Tunisians under Ottoman rule. 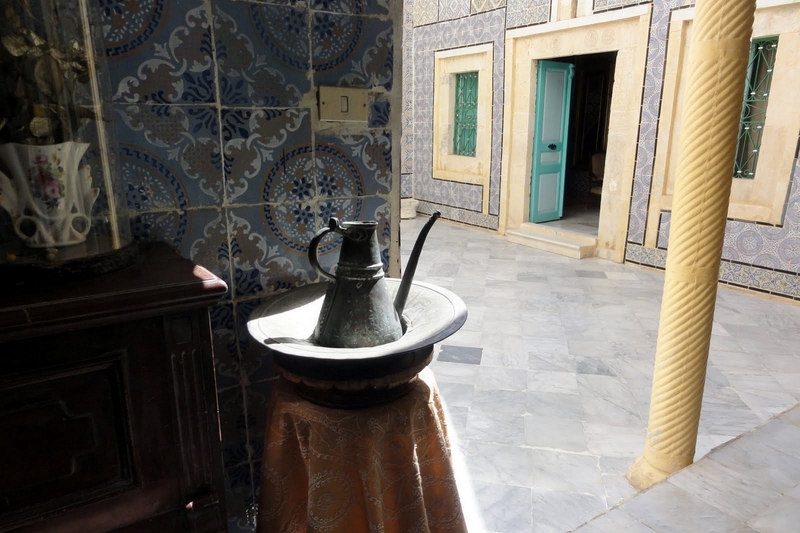 The rooms surrounding the courtyard are now given over to mannequin displays of day-to-day life under the Ottomans. The most striking feature is the cupola with its remarkable zigzag ribbing; the fluted interior is just as impressive. La sofra is a huge Roman underground cistern installed in the 11th century. 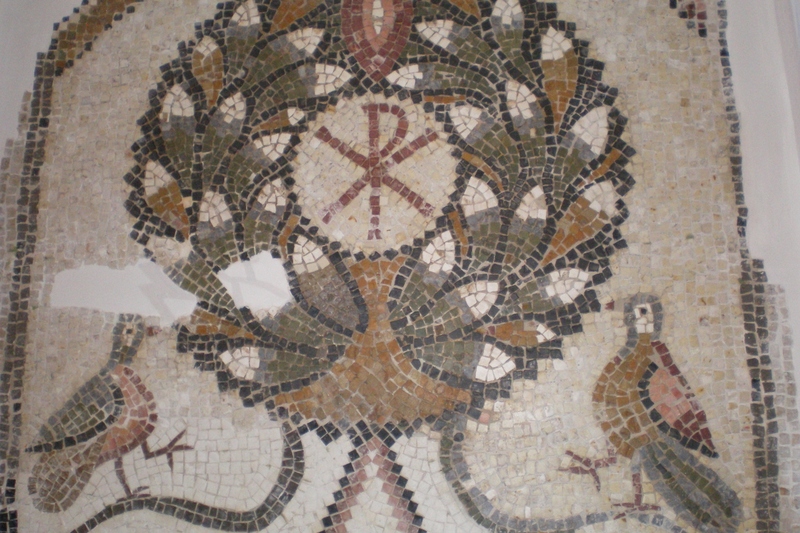 It is located northeast of Souk el Reba. 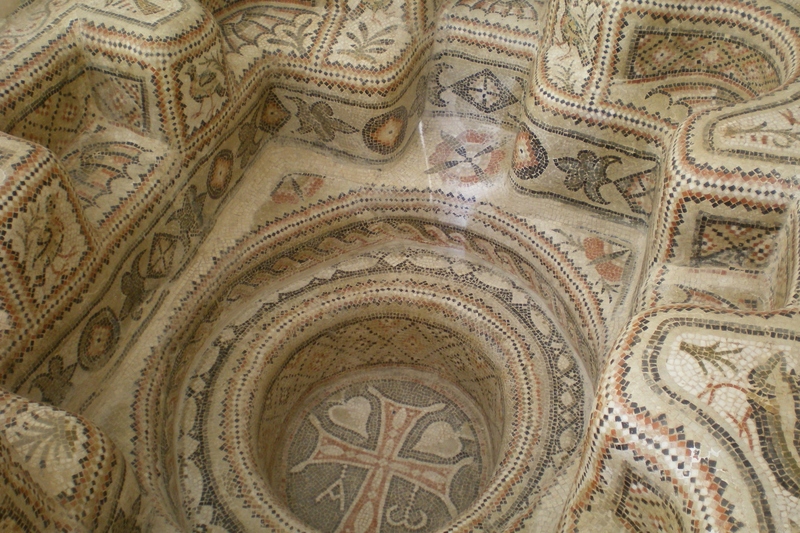 This water supply encloses a large Byzantine church. It is entered through an iron gate on the northeastern side, but this battered old metal door is often locked. They have the capacity to contain 3,000cu.m/660,000gal. The columns of the church rise from the black waters—a view you should not miss.